Will the recent Growth and Infrastructure Act 2013 make a positive difference to the UK? Will the Act make a difference to how Contaminated Land is handled? Question 1 has many answers with the polarised ones as usual the most interesting. The Local Government Association web-site says that barriers to growth aren’t Planning, apparently Planning approvals are already high as all councils understand the need to boost their local economies through construction. The Gov.uk web-site is of the opinion that this Act will Kick-start several large infrastructure projects which are held up in Red-Tape, amongst other positive changes to the UK including preventing unexpected hikes in business rates on local firms over the next 5 years. 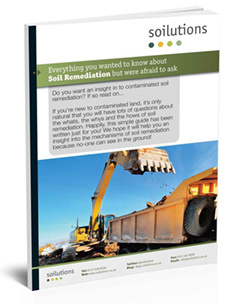 Searching for references to the Act and contaminated land hasn’t brought up anything new. The usual talk of encouraging redevelopment of brownfield land can be found, but nothing to say that we’ll be getting any new guidelines on how to clean-up sites. The answer may therefore be that No, the Act will not effect Planning from a Contaminated Land point of view. Anyone know any different, please leave a comment as we’d love to hear more. I am a big advocate of the Landfill Tax escalator, however is this a bigger constraint on development that it was intended to be? Some major planning applications (nationally significant business and commercial projects) will be able to be submitted directly to the Secretary of State, where Local Planning Authorities (LPAs) have a very poor record in deciding applications. Implementing the recommendations from the ‘Penfold’ review to remove other over-lapping development consent regimes, where multiple permissions from different government agencies are required on top of planning permission.